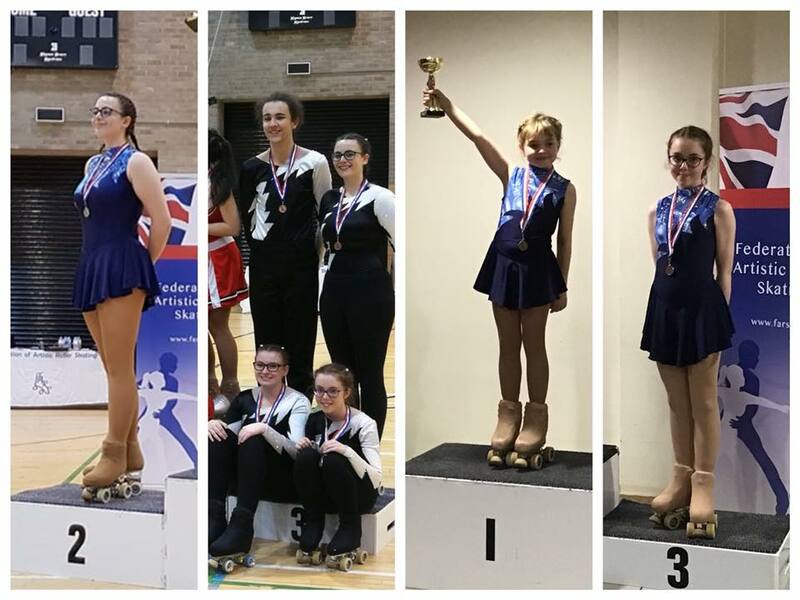 Spectrum Roller Skaters success at Nationals! Spectrum Roller Skating Club travelled to Kettering last weekend, representing the North East and came home with a haul of medals. The team endured 9 hours of travel and 28 hours competing in the prestigious National event. Nicola Stevens was the first Spectrum skater to be on the podium gaining 2nd place out of 10 skaters. After 14 hours of skating late on Saturday evening the team quartet skated an excellent routine titled ‘The Race’ and gained 3rd place. The youngest of the Spectrum squad, Jazzmyn Loring, skated a superb routine to Lord of the Dance and out of 14 tots was placed 1st – an amazing achievement! Finally Niamh Dawson gained a 3rd place out of 16 skaters for her routine to Spice Girls. The club train at Shildon Sunnydale Leisure Centre and beginner lessons are currently full. You can add your name to a waiting list by contacting us through facebook or ringing Tracy Stevens 07891 461958.